This is a precious holy bible (1917) with gold lining . 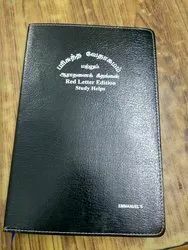 HINDI BIBLE. Old & New Testament. FULL BIBLE. Also Availabe in many other Languages. 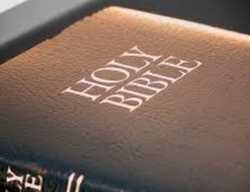 Our company has gained name and fame in presenting Bible Praveshika Book. ReviewThe book The Holy Land by George W. Knight; an illustrated guide to its history, geography, culture and holy sites, is a really neat, compact, handy, and beautifully illustrated book that reveals the grandeur of the Holy Land and significant historical places that you read about in the Word of God. THE DENIM BIBLE already has legendary status in the fashion community due to its two preceding editions "The Jeans Encyclopaedia" from 1992, and "The Denim Bible Jeans Encyclopaedia II", published in 2006. Hindi Bible in Audio MP3 format now available with us.